In July 2008, Ghana arrived in Cincinnati with his parents and two younger brothers. Housing and employment were not readily available so they were paired with another family in a single bedroom apartment. Within 24 hours of their arrival, Ghana's family was introduced to Heartfelt Tidbits representatives Amsu and Sheryl. Amsu, who speaks Nepali, explained what would be happening over the next few weeks and the importance of the whole family learning to speak English. Ghana spoke the best English of those in his family, and he was over 18. He shared with Amsu that he dreamt of going to college and perhaps even a year of high school. Therefore he was shattered when Amsu explained that since he spoke the most English, he’d have to work before anything else could happen and most likely would be the sole provider of the family until his parents learned English. Ghana agreed that he would do whatever he needed to do to make sure they were successful in their new home. 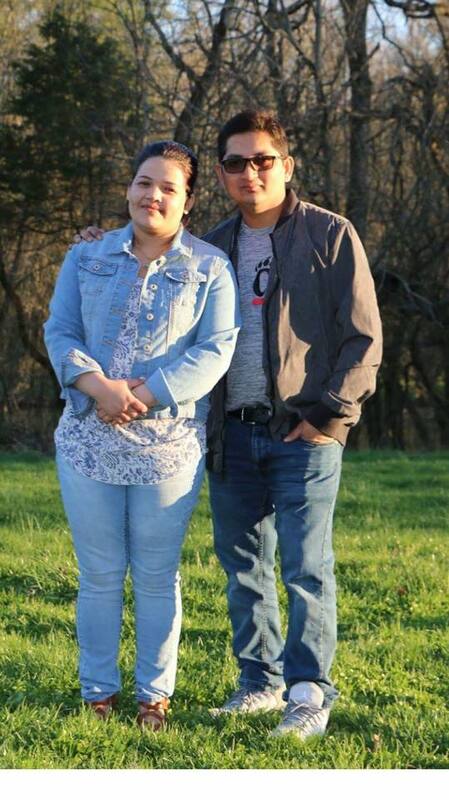 He secured a job as a bagger at Kroger, while his brothers began school in the fall and his parents focused on learning English. Eventually his father began working at Cintas which provided Ghana an opportunity to cut back his work hours and begin college. In the spring of 2008 he began working on his associate's degree in biomedical technology from Cincinnati State University. From there he went on to receive his Bachelor of Science in Electrical Engineering from the University of Cincinnati. During this time he also became a homeowner in Colerain Township, a husband, and a father. After graduating college he secured a job at Varian, a company that creates cancer treatment equipment, and became trained on their Proton Therapy equipment. Today, Ghana is an integral part of Varian’s staff at Children’s Hospital in Liberty Township. When Sheryl first took Ghana to register for courses at Cincinnati State, he asked how he could ever repay Heartfelt Tidbits for their help. Her response, “be the best you can be.” Ghana has truly accomplished this and exceeded all of our expectations for the man who arrived unsure of his future, but confident in his potential for success.